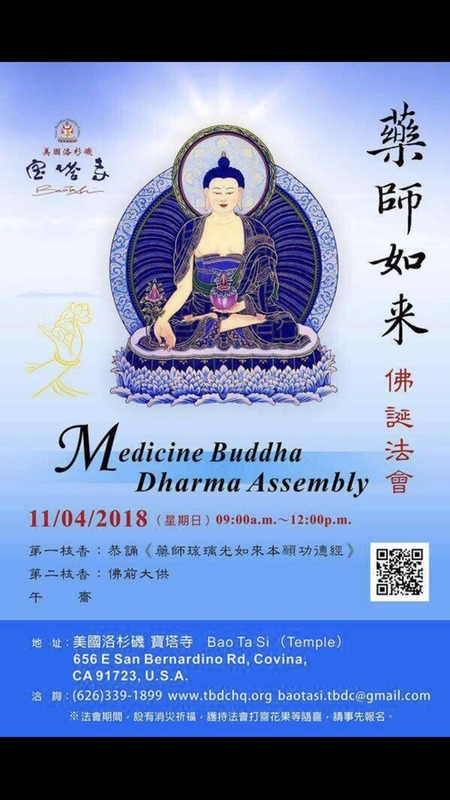 Medicine Buddha Dharma Assembly is held at Bao Ta Si temple in Covina, California to celebrate the holy birthday of Medicine Buddha who relieves sickness, prolongs life spans, and eliminates sufferings for all beings. COVINA, CA, November 04, 2018 /24-7PressRelease/ — We are delighted that in celebration of the holy birthday of the Medicine Buddha, a Medicine Buddha Dharma Assembly will be held by True Buddha-Dharma Center at Bao Ta Si temple at 9am on November 4th, 2018, in Covina, California. 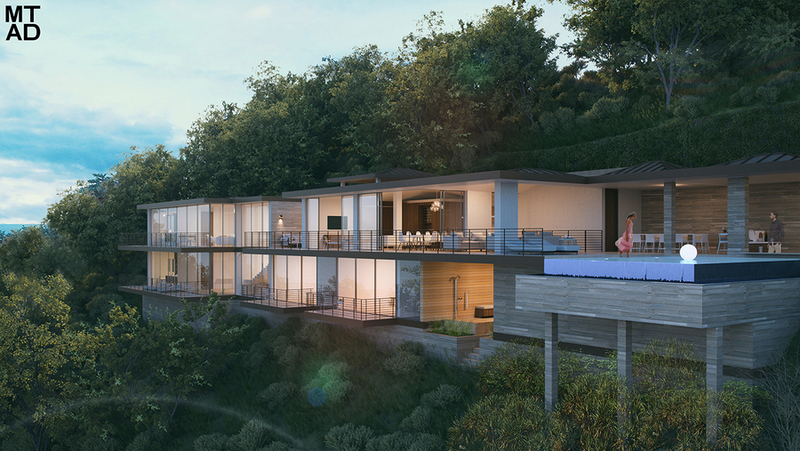 Founded in Los Angeles, California, True Buddha-Dharma Center has consistently abided by and held in high respect the teachings of H.H. Dorje Chang Buddha III and Sakyamuni Buddha. In order to spread Buddha-dharma that is based on correct understanding and correct views, True Buddha-Dharma Center built Bao Ta Si temple in Covina, California, a temple that confirms to and abides by the dharma so that a group of Buddhist monks could be assembled on the premises to shoulder the responsibilities handed down by the Tathagata. Medicine Buddha, also known as the Medicine Master and Tathagata of Vaidurya Light, is the founder of the Eastern Paradise of Vaidurya which is as serene as Western Paradise of Ultimate Bliss. While practicing the Bodhisattva path in the past, Medicine Buddha has made twelve great vows to eliminate sufferings from sicknesses for sentient beings so they can develop the root of kindness which will lead them to liberation from cycle of birth and death. The assembly is consisted of two sessions: during the first stick of burning incense, Sutra of the Merit and Virtue of the Past Vows of Medicine Master Vaidurya Light Tathagata will be recited respectfully by all attendees; during the second stick of burning incense, Grand Meal Offerings to the Buddhas will be conducted. Then lunch will be provided. We will also dedicate merits accrued from the assembly to eliminate disasters, increase good fortune and wisdom of all beings, and purify their karmic hindrances. We will pray for world peace, safety of our country, and well-being of her people. We welcome all good believers in ten directions to the event and share the Dharma benefit. Walk-ins are welcome during open hours from 10am to 5pm, Mondays through Saturdays except holidays.